Finally! One of my holiday secrets can be revealed! This painting was delivered last night. It’s a fun video game painting created for a friend with a love of NES games and a disappointing lack of artwork in his new apartment. 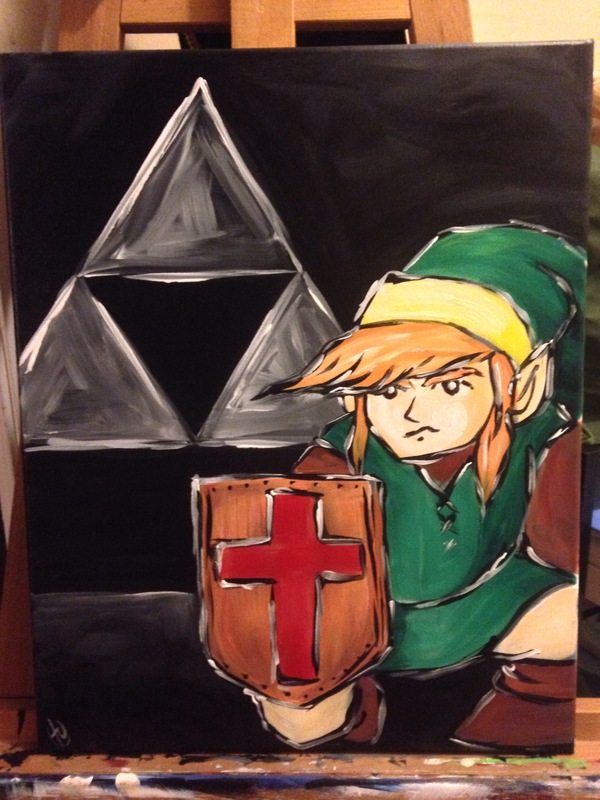 Posted on December 17, 2014, in Paintings and tagged acrylic paint, Art, handmade christmas, link, nes, nintendo, painting, the legend of zelda. Bookmark the permalink. Leave a comment.